Crafted from luxurious 9ct yellow gold, this curb chain offers classic style. Wear alone or layer up for a distinctive look. 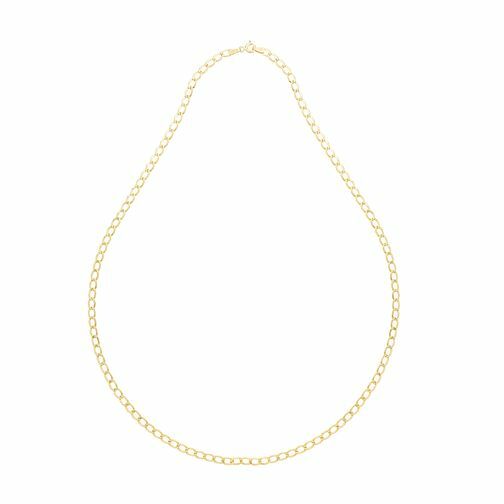 9ct Yellow Gold Hollow Curb Chain is rated 3.2 out of 5 by 5. Rated 5 out of 5 by Anonymous from Perfect length This lecklace is perfect in length and has a very rich gold colour. Definitely would recommend. Goes well with any outfit and adds a great finishing touch. Extremely resistant too.